No need to modify your bathroom. 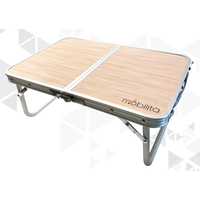 Folds for easy storage and portable for travel. 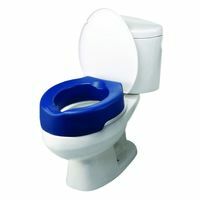 Free-standing frame fits around your toilet seat with back bar in front of your toilet tank. Height adjusting mechanism makes it suitable for all types of toilets. 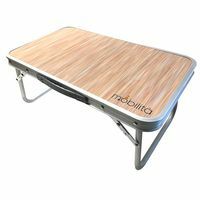 Dimensions: 20.25 inch width between arms; 20 inches from back bar to front support; Height adjustable 26.75-to-34.75 inches floor to top of arm (highest point). 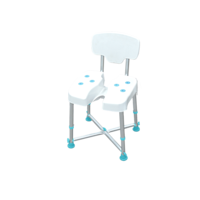 This toilet safety rail is versatile and suitable for all western toilets. Makes it easy for people get up from the toilet bowl. 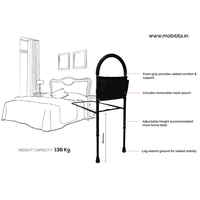 Suitable for people with weak legs / recent knee replacement surgery / hip replacement,... Features: No need to modify your bathroom. Folds for easy storage and portable for travel. 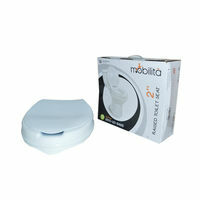 Free-standing frame fits around your toilet seat with back bar in front of your toilet tank. 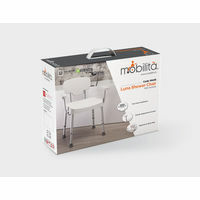 Arm rests designed to aid the user to sit and stand with greater ease and comfort. Assembly Required: No Height adjusting mechanism makes it suitable for all types of toilets. 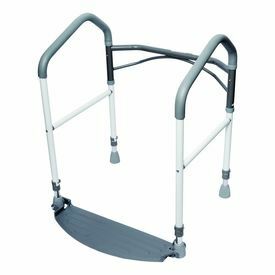 Needs to be kept dry for longer life Product Dimension: Dimensions: 20.25 inch width between arms; 20 inches from back bar to front support; Height adjustable 26.75-to-34.75 inches floor to top of arm (highest point).